III. You will not defile the Sabbath day, but keep it holy. IV. You will not dishonor your father or your mother. VI. You will not commit adultery. IX. You will not envy another man’s wife. X. You will not envy another man’s property. If you want to enter life, keep the Commandments…You shall not murder, you shall not commit adultery, you shall not steal, you shall not give false testimony, honor your father and mother, and love your neighbor as yourself. Sometime during the Maccabean period (the second century BC), the letters of the alphabet began to represent numbers, such as the first ten letters of the Hebrew alphabet began to signify numbers one through ten, as seen in the presentation of the Ten Commandments. – Starting from the top, then down to the bottom, these 10 strange-looking symbols listed above alongside Latin numerals (1 – 10) also happen to be the first 10 letters in the official Hebrew alphabet. This is no mere coincidence. – When written in English, the words for the first 10 Hebrew letters are spelled as follows- Aleph, Beth, Gimel, Dalet, Hey, Vav, Zayin, Het, Tet, and Yod. – According to ancient Jewish legend, the first letter in the Hebrew alphabet, called ‘Aleph’, was also chosen by God to be the first letter of the Ten Commandments.due to its humble acceptance of God’s wisdom and authority. – Rabbi Mendel Torum has claimed that, even though ‘Aleph’, the first letter of the entire Ten Commandments, has a completely silent pronunciation, every Israelite gathered around the foot of Mt. Sinai, clearly heard it anyway because it had been spoken by God Himself. – In the esoteric discipline called Gematria, which is considered a somewhat more respectable form of Numerology, these 10 letters specifically correspond to the mathematical numbers one (1) through ten (10) and have been arranged in perfect chronological order as can be seen in both Exodus and Deuteronomy. – Quite a few Rabbis, as well as some other Jewish religious authorities, have pointed out the incredibly powerful influence these 10 letters have exerted upon the entire Hebrew language, including both the written and spoken words of literally every Biblical prophet who came after Moses. 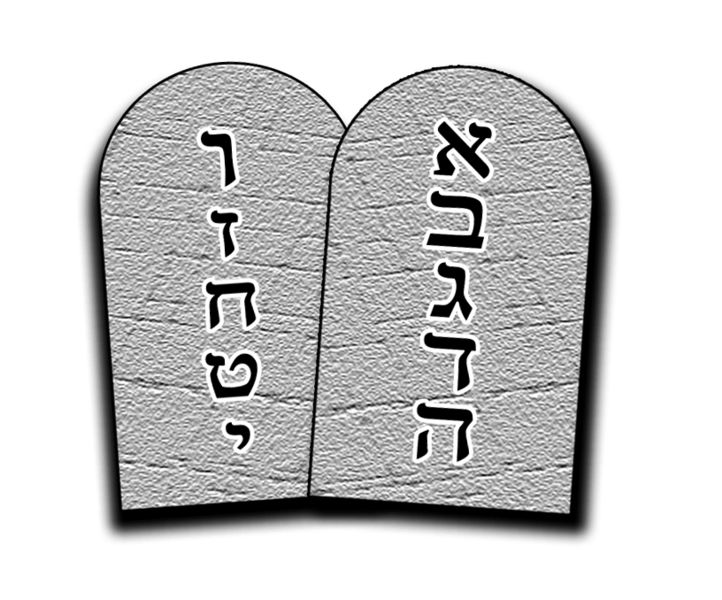 – In the modern era, numerous pieces of specialized Jewish art, jewelry, and other collectibles, will often use this 10-letter version of the Ten Commandments. – More than a few synagogues, especially in the United States, have decorations which depict the 10-letter form of the Ten Commandments. A popular image of…the Ten Commandments are represented by the first ten letters of the Hebrew alphabet, which in Hebrew usage may be used interchangeably with the numbers 1-10. 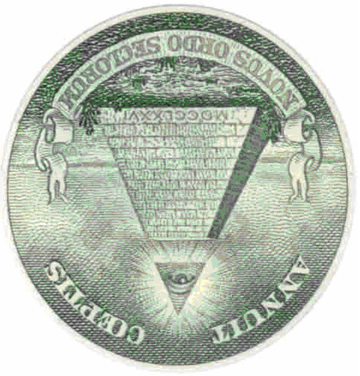 The relation between position and meaning is easily discerned for the first ten letters since they are linked with fundamental Biblical sequences like the Ten Commandments, the Seven Days of Creation, and the Seven Seals of Revelation. Many synagogues continue to have the image of the Ten Commandments prominently displayed, and many Judaica websites that sell Torah covers feature a design with the commandments sewn on, usually represented by the first 10 letters of the Hebrew alphabet. An old U.S.Air Force-issued prayer shawl (tallit)…shows the old symbol for military Jewish chaplains (two tablets of the Ten Commandments, using Roman numerals to indicate the commandments), stopped by a six-pointed Star of David. The modern version of the Jewish Chaplain symbol replaces the Roman numerals with the first ten letters of the Hebrew alphabet. The Tree of the Sephiroth may be considered an invaluable compendium of the secret philosophy which originally was the spirit and soul of Chasidism…The Sephirothic Tree consists of ten globes of luminous splendor arranged in three vertical columns and connected by 22 channels or paths. The ten globes are called the Sephiroth and to them are assigned the numbers 1 to 10. The mediæval Qabbalists also assigned one of the Ten Commandments and a tenth part of the Lord’s Prayer in sequential order to each of the ten Sephiroth.